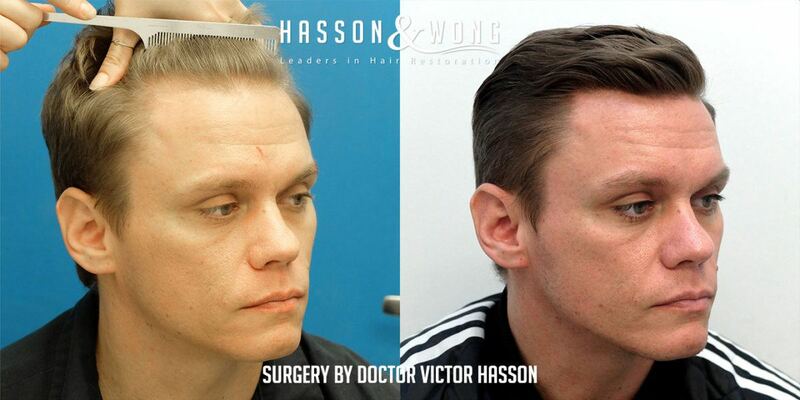 Dr. Hasson FUE hair transplant. This patient is in his early 30s and is bothered by initial signs of receding hairlines. 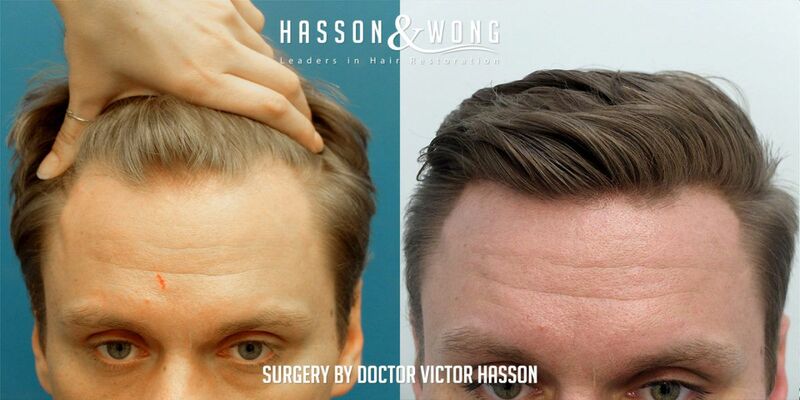 FUE technique can be particularly useful for patients with small recession and minimal balding. 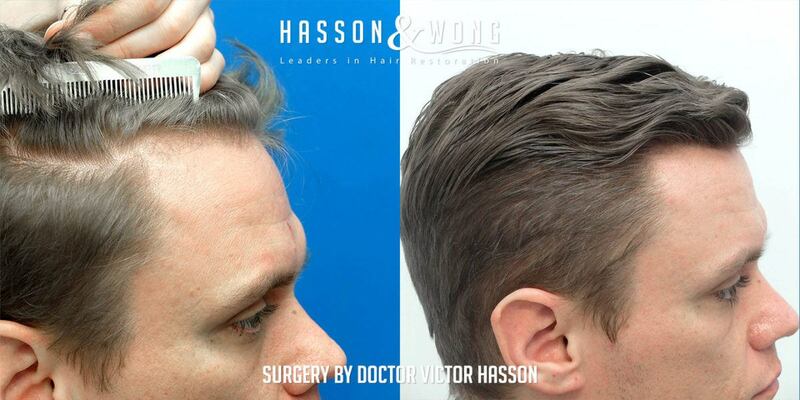 You can see from the photos how the temporal angles are perfectly done artistically by Dr. Hasson, much like what this patient was born with. 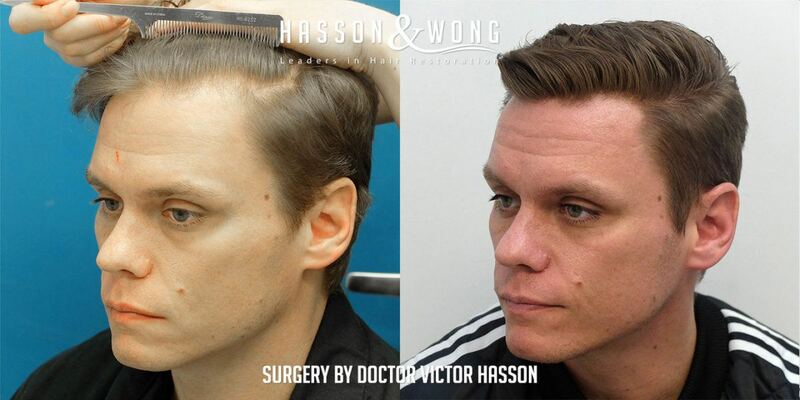 Dr. Hasson is the co-founder of the world famous Hasson & Wong hair clinic in Vancouver, Canada. 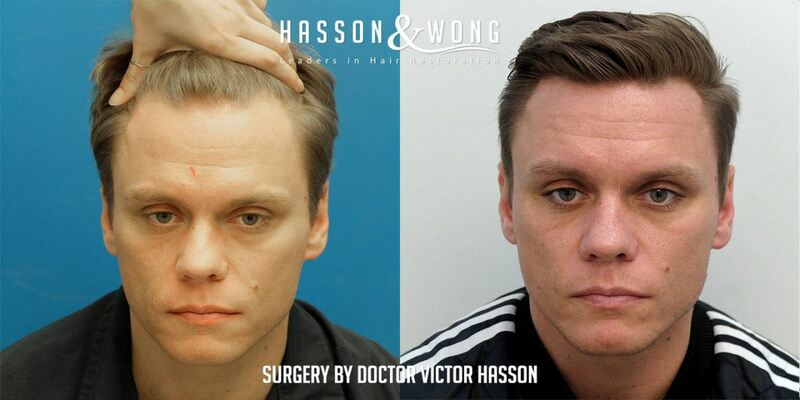 Hmm…I’m a big fan of H&W but this before and after is a little hard to evaluate, probably because the after photos don’t have the hair pulled back as in all the before photos. 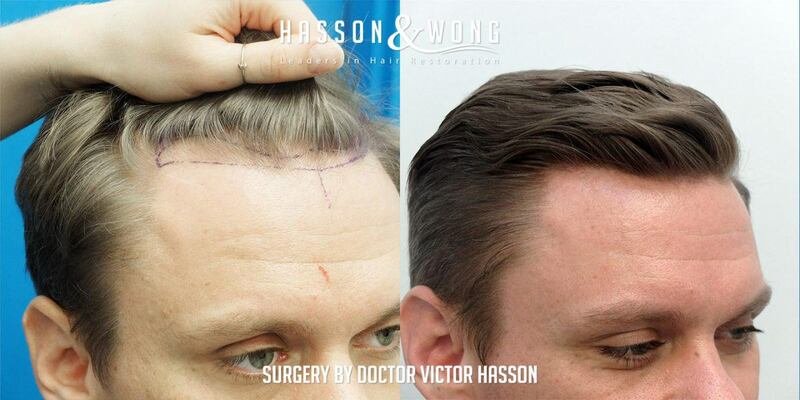 Also, it’s odd that the patient’s natural, uneven, scalloped (but perfectly fine) hairline looks like it should have been evened out (according to the pre-surgery line) but some of the after photos, it is still there. To be honest, if I had to guess after looking at all of the photos whether any work was done on this patient, I would have said no.